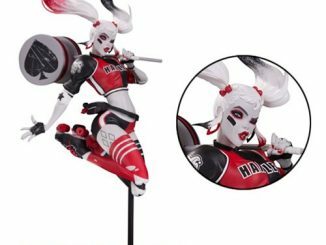 There’s never been a better time to add Harley Quinn to your collection. 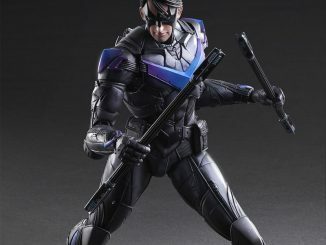 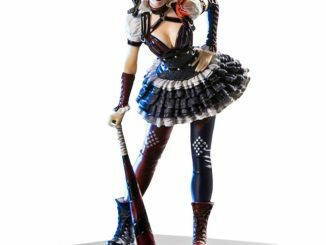 This Batman: Arkham Knight Harley Quinn Play Arts Kai Action Figure comes with several accessories and looks amazing. 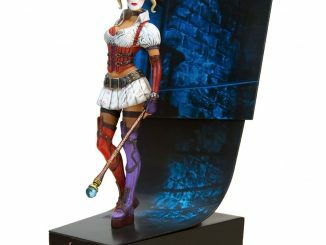 She comes with an interchangeable head, hair pieces, a gun, a bat, and the police hat she wears from in-game scenes. 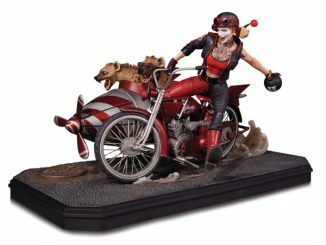 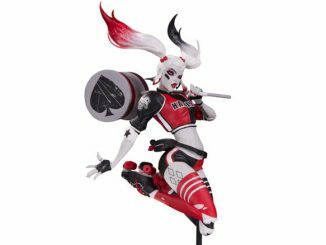 Harley Quinn measures about 10-inches tall x 4-inches wide x 3-inches long and comes with a display stand. 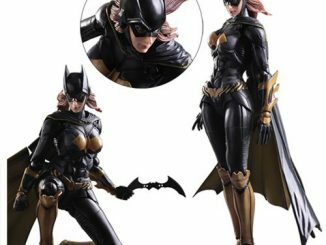 She even has clicking ball joints in her knees so they look natural and hold poses better. 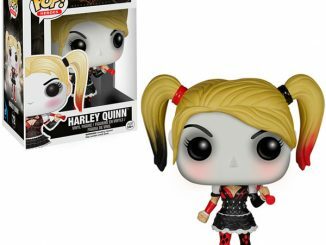 She’s crazy and adorable and she is only $99.99 from Entertainment Earth.